In the truest sense of the word, Donald Lightbody is an original ‘pioneer’ of the girls soccer movement in the Lower Mainland. Donald Lightbody was the driving force behind the establishment of the SurDel Girls Soccer Association in 1974. In the early 1970s while he was coaching his son’s soccer team, Donald realized that there were always a group of girls hanging around practices. In order to keep the boys focused and the girls busy, he would throw a couple balls to the girls to play with until the end of practice. If all went well, Donald would allow the girls and boys to scrimmage together for the last 15 minutes of practice. This became a regular routine and Donald soon realized that the girls had nowhere to play organized soccer. Donald Lightbody approached the North Delta Boys Soccer Association and the North Delta Girls Field Hockey, but neither group had any interest in developing a partnership with girls soccer. So in 1973, Donald Lightbody, his wife, Pat, and five other soccer enthusiasts (Norma Mason, Maureen and Brian Darby, and Marilyn and Len Baker) set in motion the establishment of the SurDel Girls Soccer Association. The same group was instrumental in helping set up girls soccer associations in Whalley, Richmond and Semiahmoo before turning those organizations over to separate executive groups. In 1974 SurDel Girls Soccer Association began with three teams. In the first year, the seven member executive did everything from registering players, sewing uniforms, coaching, lining fields, and refereeing. 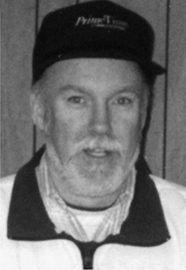 Donald Lightbody assumed the role of President of SurDel Girls Soccer Association in 1975. It was a position that he held for 18 years. What makes it all the more amazing is that Donald and Pat had two sons, but did not have any daughters! SurDel Girls Soccer grew rapidly. At the high point of Donald Lightbody’s leadership, there were 790 girls registered, split between 52 teams. In 1982, upon first joining with the Metro program, SurDel had teams competing in 6/7 divisions. SurDel ended that year winning five Provincial Championships. SurDel Girls Soccer Association celebrated its 40th year in 2014. Though he is no longer in charge, Donald Lightbody is very pleased with the fact that SurDel has become a mulit-generational association. Donald Lightbody worked tirelessly to make Delta a great soccer community for girls and boys.